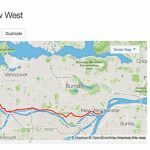 This post has charts and videos to help you decide between the Garmin Edge 1000 vs 820. 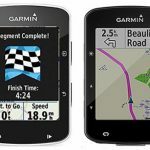 First there is a chart comparing all features of the Garmin Edge 1000 vs 820, and then I discuss the 7 key differences between them. Then I have another chart that shows only the differences between the two bike computers, so you can easily see the differences between the Garmin Edge 1000 vs 820. As you can see, both of the Garmin Edge bike computers have tons of extremely similar features. Both are optimized for bike training and for navigation on a bike, with advanced navigation features like course calculation and turn-by-turn directions. Both are premium, rugged bike computers. The video below shows the navigation features on the Edge 820 very well, and also how customizable screens work. This is exactly how the Edge 1000 also works, although the 1000 screen is bigger. 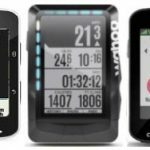 In this video, a Garmin Edge 1000 owner shows how the maps look on the 1000, and explains that he bought the 1000 in order to be able to see the screens more clearly. He gets to this point following minute 8:00 of the video. The Garmin Edge 820 is a newer bike computer, so of course it has all the latest features. 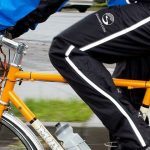 This means that the (usually) cheaper bike computer has more features! The Edge 820 has several brand new features that the Edge 1000 does not have, including Group Track, Incident Alert, Battery Save Mode and Stress Score. For a start, take a look at my unboxing the Garmin Edge 820 video, in which I show all that comes in the box (if you get the Edge 820 bundle), how to set it up, and the immediately obvious changes in appearance and menu options on this upgraded unit. The Garmin Edge 820 has a built-in ability to detect an “incident,” which is basically an event that seems to be a crash. You could for example simulate it by picking up your bike and throwing it at a wall (not recommended!) If you fall off your bike, the Garmin Edge 820 will interpret this as an incident. It will then notify a person who you have designated. If you fall off and you are fine, you have 20 seconds in which you can cancel the alert. 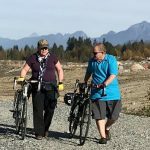 This is a useful feature if you have a significant other who worries about you while you are on your bike. This is probably the most useful new feature on the Garmin Edge 820. If you are worried about losing battery power, just put the bike computer into battery save mode. The screen will blank out, but it will keep recording your ride. You can bring the screen back to life at any time. This extends the battery life by several hours. 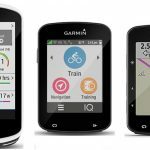 So, those are the 7 key differences between the Garmin Edge 1000 vs 820. And here are all of the differences, handily summed up in this chart. This is basically the table at the top of the post, edited down to only the rows that have differences. 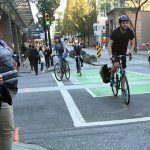 Either one of these bike computers is excellent if you want to train smart and you want navigation assistance. 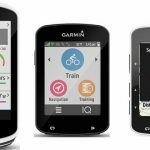 Clearly the choice between them comes down to what is more important to you: the bigger size of the Garmin Edge 1000, or the new features of the Garmin Edge 820. Also, of course, the Garmin Edge 820 is usually about a hundred dollars cheaper (although not right now!). In my opinion, the only good reason to consider the 1000 is if you find it hard to see maps on a smaller screen, and so will benefit from the larger screen and landscape mode of the Edge 1000. However, if you have good eyesight, and you would like to enjoy some of the new features on the Edge 820, then the 820 would seen to be the best choice.